Locate Hwy. 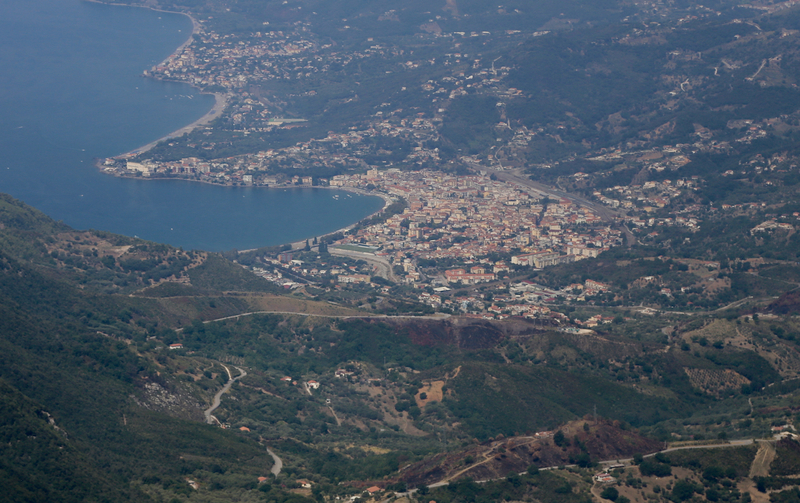 SP104 connecting the town Sapri (on the coast) with SS585 running north-south, further inland. 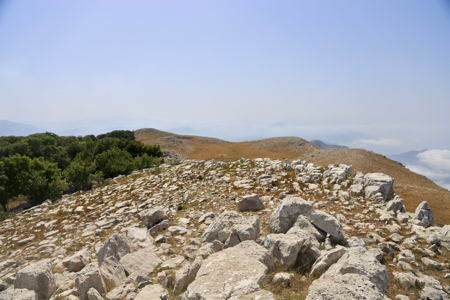 About 15 kilometer from Sapri, at location N40.06985, E015.70454, a small road turns towards the mountain. Take this road, in a few kilometer it will take you from about 640 meter to 1100 meter of elevation. It is paved all the way with a few sharp hairpin curves. This road serves an antenna installation, however, the trailhead is located in a sharp right curve at location N40.04874, E015.70361, elevation close to 1100 meter. There is space for 2-3 cars that may park in the outer curve without blocking the road-space needed in order to drive on the road, even for larger vehicles. There is a nice trail, obviously worked on in the last year. It is generally marked with red paint, often red arrows. The trail first runs to a local col then turns left and contours nicely around the mountain while gaining elevation gradually. First in the shade of trees, then more out in the open with a nice view back down at Sapri. When reaching the summit plateau, the situation is less clear. 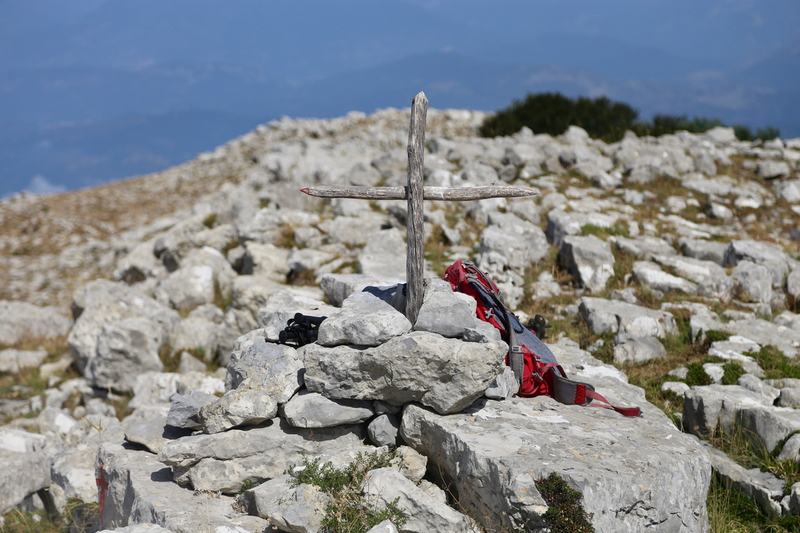 The trail markers head for the 1505 summit, while there is no trail to the 1512 summit which is clearly the highest, marked with a small wooden cross. I left my hotel and drove along the coast Hwy. to Sapri, then took the SP104 road up to the small mountain road. I was hiking at 0940 and arrived at the summit at 1030. This was my last day of a 3 week vacation with my wife Heidi. The plan tehrefore called for a peak nearby and a plan to be back for an ocean swim and lunch. This worked well, as I was back at my car by 1120 and parked at our very nice hotel, Santavenere by 1215.